These Racks for Scintillation Vials, moulded in Polypropylene, are autoclavable & corrosion resistant. There is an individual rack for both 8 ml. & 20 ml. vials. These rugged & stable racks can hold scintillation vials for convenient storage, handling & sample preparations. Slide staining rack all stainless steel. Manufacture durable lab furniture with branded items. 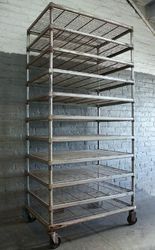 We have in store for our customers Drying Racks, which are made of stainless steel. Draining and drying racks are suitable to hold 90 assorted glass wares, such as test tubes, conical flask, beakers and cylinders at a time. Appreciated for dimensional accuracy and durable finish standards, these racks are resistant to corrosion. Slide Staining Rack (Wooden), suitable for dropping bottles of different sizes, provided with slide rack grooves & other Instrument. Standard size of lab tables having 50x25x2MM are manufactured by using high quality structural tubes, and they are designed completely modular. Net Rack provides ESD Non ESD table and other concerned accessories. We are a Leading Manufacturer & Exporter of Tissue Culture Racks which are designed according to the need of our customer. These racks have facilities of lighting and the panels which can be controlled by remote. 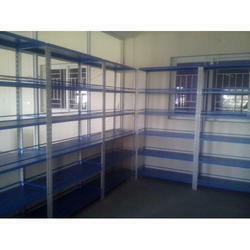 Our racks are manufactured with the best quality of raw material and thus they are durable in nature. We always maintain quality standard in manufacturing of our Portable Tissue Culture Rack. These portable tissue culture racks are made from top grade aluminium materials with glass fabricated in compliance with industry standards.